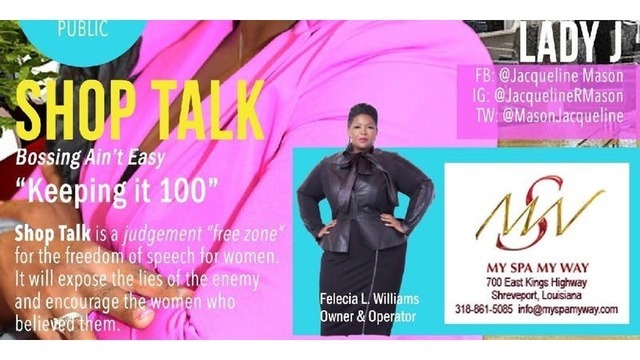 Pastor J. Jacqueline Mason of Impact Church has created a no judgment zone for women to talk. She is partnering with local salons, spas, barber shops and beauty industry professionals to allow for an open dialogue about issues that maybe hindering success for many women. For decades, beauty salons and barber shops have long been the social platform for open and honest conversations about life and our place in the world. It's a space that doesn't separate people based on social class, income, or education, and no topic is off limits. Enjoy light bites, signature beverages and conversations to foster personal discovery, energize those at a stand still in their lives and create actions and thoughts that will help change lives. Ladies registered by April 13th will receive a free gift bag and complimentary raffle ticket for prizes that will be up for grabs. Silence the talk that fosters hate and division and speak success into existence through positive "Shop Talk." There is no fee but you must register. Reserve your space by calling My Spa My Way at (318) 861-1886 or J Serenity (318) 210-7375 or register on Eventbrite.